Man, I wish I'd have found this one earlier this year. I'd have already beaten the "Library Card on Fire: read 50+ books" part of the challenge at least twice over. But I'm signing up now, and I'm only counting books I've read from this point onward. I'm still going to sign up for the final category though. Because I am absolutely addicted to overdrive. I've made a new shelf on Goodreads so it'll update my list without me having to keep accessing this post. And the widget I'm attaching should include my review/rating if I did it properly. I was 100% coerced into this challenge by both Katie and Lenore (click their names to see their blog posts), because they're also Hufflepuffs and demanded I joined them in whatever this is. I honestly don't exactly know what I'm signing up for - but I'm giving into their whims apparently. ​So... here's a list of some of the books that I want to read, most of which I own, that were released prior to 2017*. I'm not making an official list, because I know I will not follow it. But I do want to read at least 50 books on this list. A blog I follow, Chapter Break, finished the 2016 challenge - so I decided I wanted to cool like Julie, and I'm also signing up for this one. Because of the work I do I spend a minimum of 3 hours driving during the week... which is perfect for listening to audiobooks! Very important to note, I blame Sofia for my audiobook addiction because she introduced me to Overdrive. Had I known about this challenge I'd have hit the final level of "Marathoner" this year, because I've listened to over 100 audiobooks since January. But I didn't... *dramatics* ... but I'm challenging myself to attempt at least 50 audiobooks next year, so I'm signing up for Marathoner. I completely forgot about this... so I haven't updated it since the end of January. Well, I just realized I achieved my goal for the year. This is also the highest challenge, so I am super awesome. I may continue adding up my audiobooks for the year, or I may not. We shall see. Depends how lazy I'm feeling. I'm signing up for the 100 books challenge, just because I'll feel better if I surpass it. Even though I already know I 'm going to beat it. This is who I am as a person. 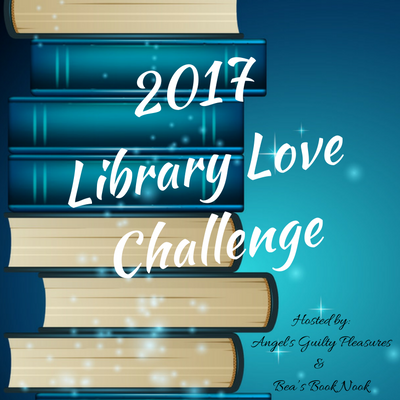 Instead of making an entirely different shelf for 2017 reads, I decided to be lazy and link to my goodreads challenge. It's the 2nd of July, and I've already read over 100 books. I'm so cool! I knew I'd beat the challenge. Anyway, I'm officially a LEVEL 1.